Perfect to catch up with my pen pals. 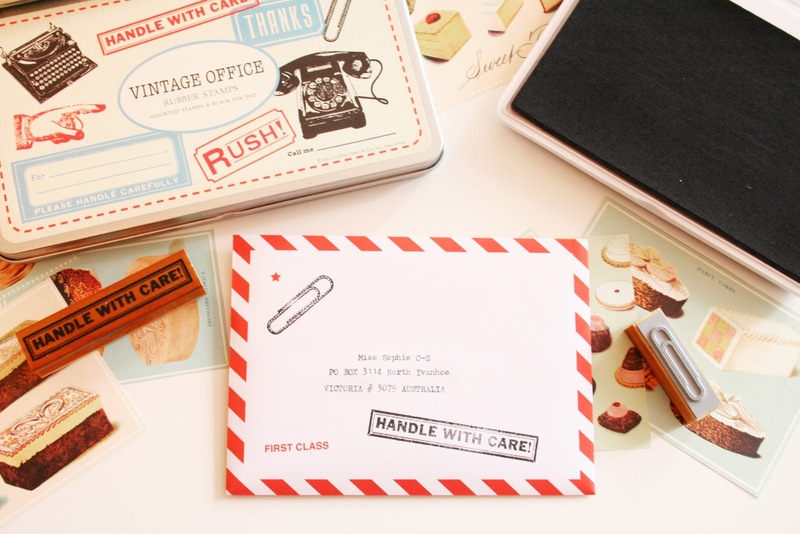 The stationery is paper+cup's old school letter set, and the stamps are from Cavallini & Co. 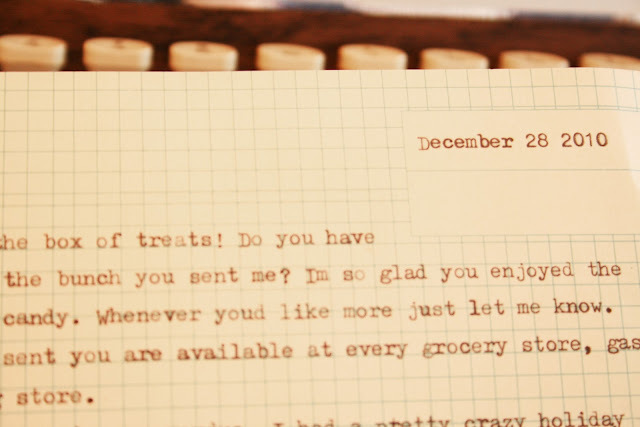 I typed a letter to Sophie, on my "new" typewriter. A packaged a long overdue letter + gift to Kate in England. I know the weather is really terrible in other parts of the world, I am happy that I only have to deal with a few raindrops and some crazy wind! I have those stamps and that letter set too! My friend Tanya loved her "This Book Belongs To" stamp with the personalised authors. I love my new Paper Pastries stamps too. 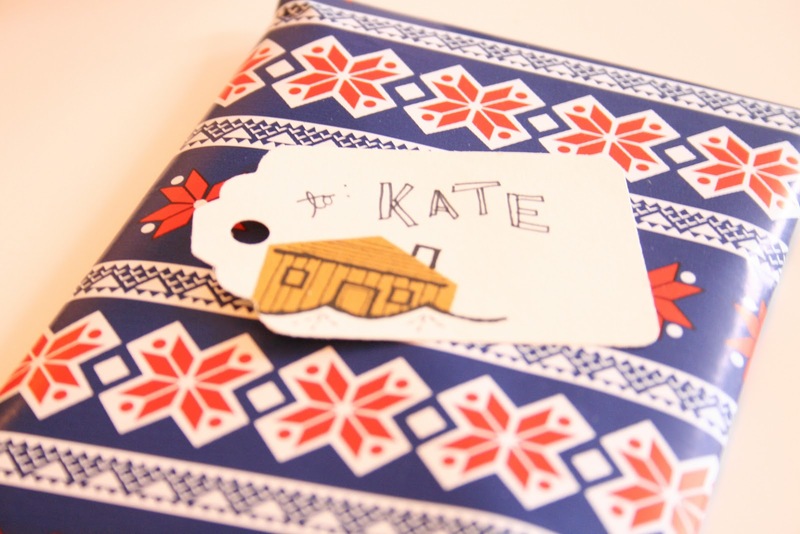 Thanks for making my Christmas gifting easier!